The Law: According to Fred Ross ~ Strokeland Superband has been added successfully to your wishlist. 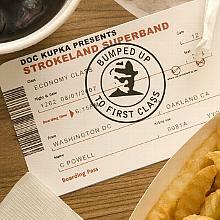 Doc Kupka presents the third effort from The Strokeland Superband, this time featuring Fred Ross on lead vocals, and another great collection of East Bay Soul music. Fred's extensive performing career has taken him around the world, fronting for James Brown horn legends Pee Wee Ellis and Fred Wesley. 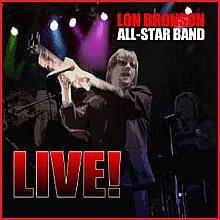 Currently, he is touring with original members of Sly & The Family Stone, as part of The Family Stone Experience. 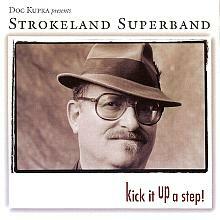 Doc Kupka called on Strokeland producer Jeff Tamelier for this CD and Jeff combines classic Tower of Power style arrangements intermixed with modern grooves for this fun musical romp. 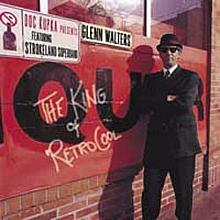 There are currently no reviews for The Law: According to Fred Ross ~ Strokeland Superband, but you can be the first!